Experience Years of translation experience: 16. Registered at ProZ.com: Apr 2004. Became a member: Jun 2007. 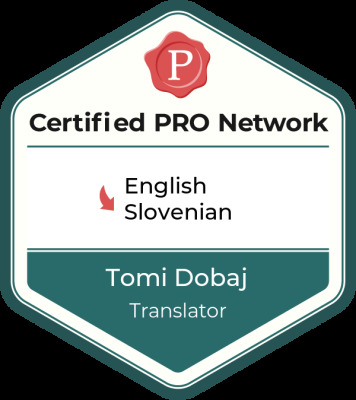 Professional practices Tomi Dobaj endorses ProZ.com's Professional Guidelines. 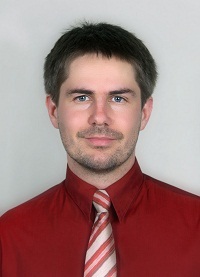 – 2003-Present: freelance (and for 1 year an in-house) English to Slovenian translator for Euroscript Hungary Kft, working daily on EU legislation notifications, Official Journal entries, technical/legislative pieces for DG ENTER, and Schindler elevator servicing manuals. – 2003-Present: regular long-term freelance cooperation with Ultracorp Localization Services: the only SLV language provider for Acer, BenQ, CyberLink, Canon, and a major provider for HTC, Phillips, and Lenovo.